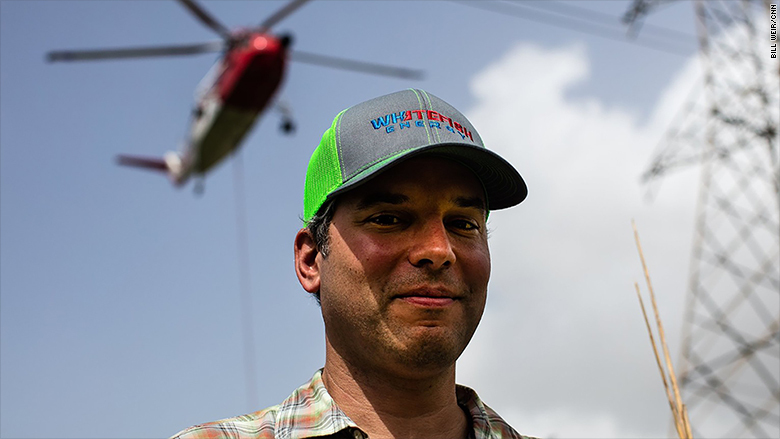 A $300 million contract awarded to Whitefish Energy, a small Montana utility company hired to restore power in parts of Puerto Rico, is now under several government reviews after being mired in controversy in recent days. The Department of Homeland Security's inspector general has launched an inquiry into the deal with Whitefish following calls by the press and lawmakers on Capitol Hill. The agency considers it one of their highest priority cases, a spokeswoman told CNN on Thursday. The inspector general plans to look into whether the appropriate process was followed by state-owned Puerto Rico Electric Power Authority, or PREPA, when it awarded the contract. Thus far, the Whitefish deal is the largest contract awarded to any company for relief efforts in the aftermath of Hurricane Maria. The contract has raised a few eyebrows given that the firm is based in the same hometown as Interior Secretary Ryan Zinke and it employed just two people at the time Hurricane Maria made landfall. Such concerns prompted a separate House committee on Thursday to also open a review of the multimillion dollar contract. Rep. Rob Bishop, chairman of the House Committee on Natural Resources, wrote a letter to Richard Ramos, the head of the PREPA, requesting further information on the contract. In addition, Sen. Maria Cantwell, a ranking member of the Senate Energy and Natural Resources Committee, has asked the Government Accountability Office to review the matter. A GAO spokesman said the agency has received the letter and is reviewing the request." A White House spokesman told CNN the decision to give the contract to Whitefish was made exclusively by PREPA. "The White House is not aware of any federal involvement in the selection," White House spokesman Raj Shah said. In a letter to the Inspector General of the Department of Homeland Security, Puerto Rico Governor Ricardo Rossello requested that the government oversight agency complete its review of the Whitefish contract by October 30. Rossello also noted that he recently asked Puerto Rico's Office of Management and Budget to audit the Whitefish contract in order to ensure it's in compliance with all of the appropriate laws. The results of that audit are due Friday, Rossello told CNN. Since the company announced the deal last week it has been swept up in controversy. On Wednesday, a public feud erupted between Whitefish and San Juan Mayor Carmen Yulin Cruz on Twitter. Whitefish later issued an apology to Yulin Cruz after criticizing her and threatening to pull workers from the city she represents. In an earlier interview with Yahoo News, the mayor had called the multimillion dollar contract awarded to Whitefish "alarming" and pressed for the contract to be canceled immediately. 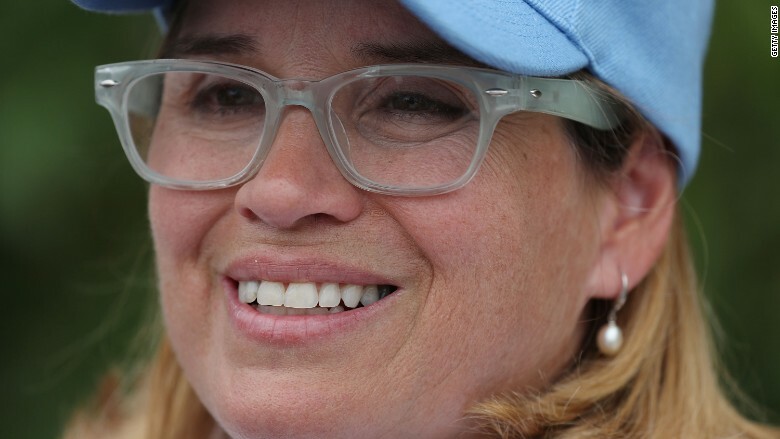 Mayor Carmen Yulin Cruz said the Whitefish Energy contract should be "voided." "The contract should be voided right away and a proper process which is clear, transparent, legal, moral and ethical should take place," Yulin Cruz said of the two-year old electrical utility in the interview Tuesday. In response, Whitefish spokesman Chris Chiames posted a statement on Twitter calling Yulin Cruz's comments "misplaced." "We find her comments to be very disappointing and demoralizing to the hundreds of people on our team that have left their homes and families and have come here to help the people of Puerto Rico," Whitefish tweeted Wednesday. By the afternoon, the situation grew heated. 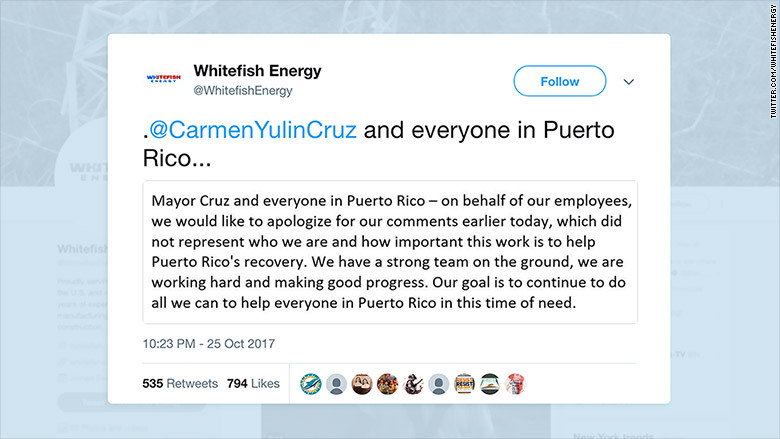 Yulin Cruz tweeted back: "If @WhitefishEnergy feels that asking for transparency is "misplaced", what are they afraid we will find." "We've got 44 linemen rebuilding power lines in your city & 40 more men just arrived. 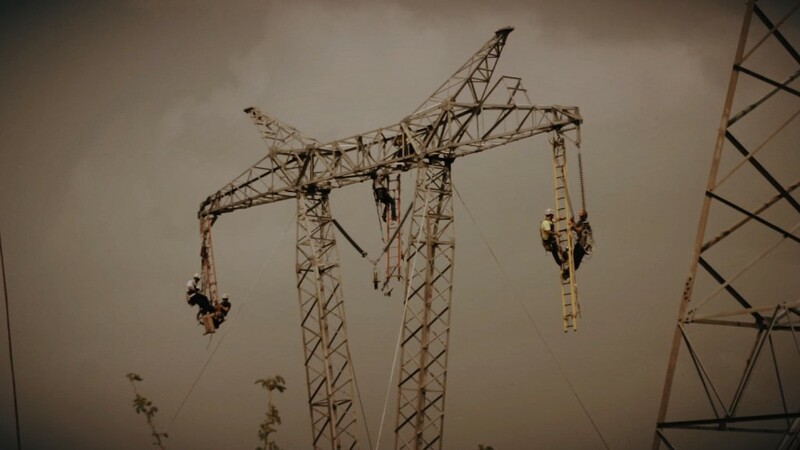 Do you want us to send them back or keep working?," the utility company replied. "Threats received by @WhitefishEnergy. The implication is if I do not "play nice" they will not do their job. Nasty!," the mayor tweeted back. She said Whitefish's response implied it would not treat San Juan with the "diligence it deserves." Whitefish later said it is committed to restoring power in Puerto Rico and then apologized to the mayor. "Mayor Cruz and everyone in Puerto Rico... we would like to apologize for our comments earlier today, which did not represent who we are and how important this work is to help Puerto Rico's recovery," the company posted on Twitter late Wednesday night. Yulin Cruz does not have authority over PREPA and the contracts it issues. She has long been a critic of Rossello, who backed the Whitefish contract, and has criticized President Trump's handling of relief efforts on the island. PREPA's Ramos told reporters during a press conference last week the cash-strapped island chose Whitefish because it didn't require a big deposit upfront. The other contender, Power Security, wanted a $25 million down payment for the work, Ramos said. "In that moment, we were not in a position to offer that collateral," said Ramos. "The other company did not ask for a guarantee of payment." In an interview with CNN on Thursday, Ramos said he had no regrets about picking Whitefish out of the seven companies he spoke with about working on the recovery efforts. "If we went back in time, I would do it all over again," Ramos said, adding the company is "doing a great job." But some on Capitol Hill are concerned that Whitefish may have stood out for another reason. The tiny utility company is based in Whitefish, Montana, which also happens to be Zinke's hometown. Both Zinke and Whitefish CEO Andy Techmanski acknowledge knowing one another. Zinke's office described Whitefish as a "small town" with a population of roughly 6,000 people. One of the secretary's sons "joined a friend who worked a summer job at one their [Whitefish's] construction sites." But Luce told CNN that the company did not make any requests to the administration before the contract was signed on Sept. 26. Whitefish Energy's CEO Andy Techmanski. "The secretary had absolutely nothing to do with Whitefish getting the contract," he said. Techmanski, who has described the firm as specializing in "difficult and mountainous terrain projects," has downplayed any ties to the administration. "All I can say is, we took the call and we're here," Techmanski told CNN Friday, referring to a call from director Ramos. "We called each other." PREPA, which is $9 billion in debt, could have requested aid after Maria through the American Public Power Association, a network that provides help to other utilities during widespread power outages. That's what Texas and Florida did after Hurricanes Harvey and Irma. Ramos told CNN on Thursday that the closest states to Puerto Rico were already dealing with their own aftermath of earlier hurricanes and he believed they would not be able to respond quickly to the island's needs. The bankrupt utility also couldn't afford to cover the costs of utilizing the network either, he added. Whitefish does have another tie to the administration. HBC Investments, which was founded by a big Republican donor named Joe Colonnetta, backs the firm. Colonnetta and his wife donated more than $20,000 to Donald Trump's presidential campaign and more than $30,000 to the Republican National Committee last year alone, according to a filing from the Federal Election Commission. A representative for Colonnetta was not immediately available to comment on the donations. Luce said the investment firm learned of Whitefish last summer through an unnamed mutual acquaintance in the energy industry. "Techmanski is the type of entrepreneur HBC likes -- a family guy with a good business plan," Luce said, noting that the Whitefish CEO had previously managed contracts of up to $250 million. Additional reporting by Julia Jones, Martin Savidge and Paul Murphy.